Black Bottle stands out from the crowd of blended Scotches with its retro presentation, and if its previous Islay-heavy character has been muted, ‘new’ Black Bottle remains a dram with a very distinctive style. The current incarnation of the Black Bottle blend dates from 2013, when owner Burn Stewart Distillers decided to tone down the signature Islay-influenced nature of the brand by introducing more Speyside malts into the recipe, returning Black Bottle to something much closer to its north-east roots. Today’s Black Bottle boasts floral and oak aromas and fruit, smoke, honey and nutmeg flavours, with the Islay element in the blend being provided by Bunnahabhain. At various times 10 and 15-year-old expressions were available, but both have now been discontinued, leaving just the present NAS variant. 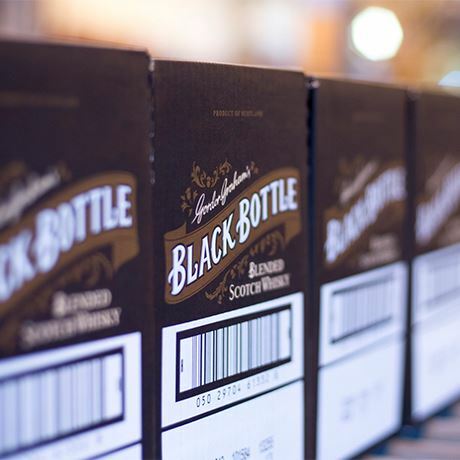 Black Bottle was introduced in 1879 by Charles, David and Gordon Graham, members of a family of Aberdeen tea merchants who had branched out into whisky blending. True to its name, the blend was initially presented in black glass, but this was sourced from Germany, and the outbreak of the First World War in 1914 necessitated a switch to green glass. 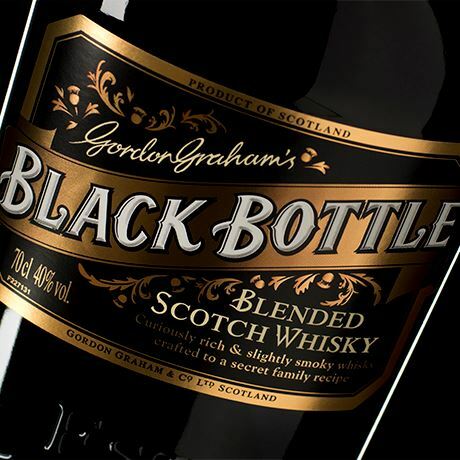 Although for many years one of north-east Scotland’s best-kept whisky secrets, Black Bottle began to win admirers beyond its native Aberdeenshire, and family control was relinquished in 1959, when Long John brand owners Schenley Industries Inc of the USA bought Gordon Graham & Co Ltd.
Anecdotal evidence suggests that Black Bottle soon became just another blended whisky, and unfortunately one without too much finesse. The traditional, full-bodied character associated with it during the days of the Grahams almost entirely disappeared. 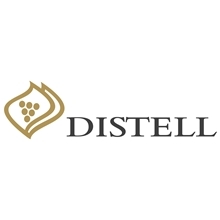 It is believed the 'original' Black Bottle would probably have had a notably smoky character due to the predominance of Aberdeenshire malts in its composition. These whiskies were distilled using barley malted with peat from New Pitsligo. From 1990 Black Bottle was in the hands of Allied Distillers Ltd, who did much to restore its quality and reputation, and then in 1995 Black Bottle was acquired by Highland Distilleries Ltd. They took the bold decision to centre the blend recipe on malt from all of Islay’s working distilleries, using the slogan ‘Finest Scotch Whisky with a Heart of Islay.’ While the likes of Laphroaig and Ardbeg gave Black Bottle its most obviously phenolic Islay character, the blend was centred on the lightly-peated Bunnahabhain. Highland Distilleries became part of The Edrington Group in 1999, and four years later Bunnahabhain distillery on Islay, along with the Black Bottle brand, was sold to Burn Stewart Distillers. The new owners continued the Islay-centric theme of the blend until 2013, when master blender Ian MacMillan declared that ‘Black Bottle lost itself in Islay’ and Burn Stewart Distillers decided there was a need for the blend to ‘return its north-east roots’. 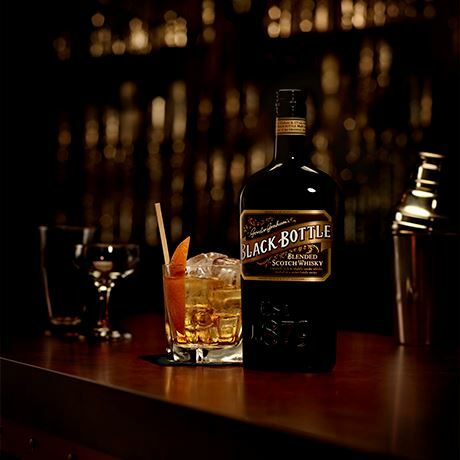 According to MacMillan: ‘The challenge was to develop a liquid that was more in line with the original character of Black Bottle while maintaining all of the quality for which the brand is renowned. I wanted to reintroduce a richness to balance the smokiness of the blend and in turn allow each component to contribute to the overall flavour.’ The resultant whisky was once again presented in an eye-catching black glass bottle based on a 1906 Graham family design.